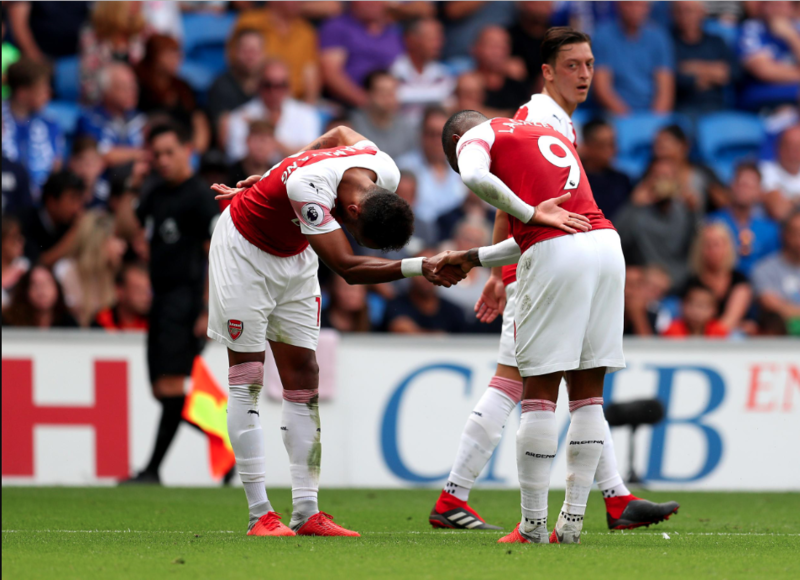 Home > Originals > Arsenal’s Unbeaten Streak decoded – What Has Emery Done Right This Season? After two successive defeats to begin their season, Arsenal have well and truly found their feet and turned things around. The 13 games following their defeat at the hands of Chelsea have given the footballing community a glimpse of what can be expected from Emery-ball. There has been no looking back since their dramatic 3-2 loss to Chelsea at the Bridge. There is a general sense of positivity at the Emirates and Gooners are loving what they are seeing on the pitch. Arsenal made their biggest decision of the last two decades this year. They finally decided to replace legendary manager Arsene Wenger. For any club replacing a manager of that stature after that long a time is a tricky situation ( Prime example being Manchester United). This was arguably a make or break decision for Arsenal considering how the last few years under Wenger had been. There was a lot of talk of Arteta taking the job, but in the end, the job went to Unai Emery. Based on the performance so far, its safe to say the board made the right call. Unai Emery is one of those managers who obsess over attention to detail. It is a well-known fact that he goes through video footage and discusses it with his players to improve them. If there is one word to define his football, it is ‘intense’ and Arsenal’s performances this season have only exemplified that. The most prominent change this season has been the fact that Arsenal have been persistent in passing out from the back. This has led to some very nervy moments but the switch so far has been worth it. In particular from Xhaka and Petr Cech. They did not seem the most comfortable having to make a pass under heavy pressing from Man City. Nonetheless, they kept trying it and with every passing game, they seem to have become less hesitant with the ball at their feet. However, it is a chink in their armour that teams are looking to exploit as seen in away matches at Fulham and Cardiff. 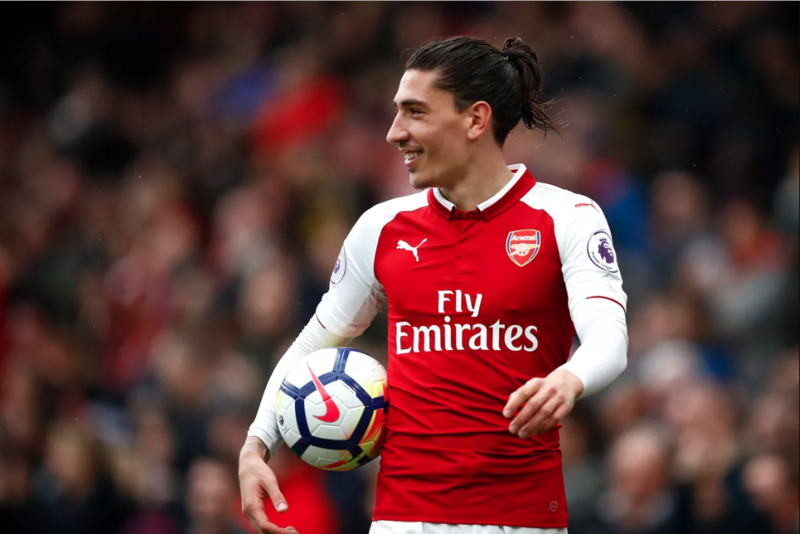 The full-backs (predominantly Hector Bellerin) have been used in an enhanced role to support Emery’s philosophy of attack. The full-backs seem to press up in attack while the wingers move narrow making it 5 Arsenal attacking players against normally a 4 man defense. This enforces the opposition wingers to track back deep to recover the ball. In addition to that, the number 10 also supports the attack, making it harder for the defense to cope up. Arsenal have consistently fielded 3 people in midfield in the Premier League this season. Xhaka and Guendozi were paired initially and now we are seeing Torreira slot in beside Xhaka. Torreira has been the most significant addition to this Arsenal squad this year. His tough tackling along with the calmness on the ball has freed up this entire Arsenal attack. Last year, we saw Xhaka paired up with players like Elneny and Ramsey predominantly. While Elneny had the discipline, he didn’t have the passing range or calmness on the ball. With Ramsey, he could pass, he wasn’t the most disciplined of players and left Xhaka exposed time and time again. Torreira takes the best of both. 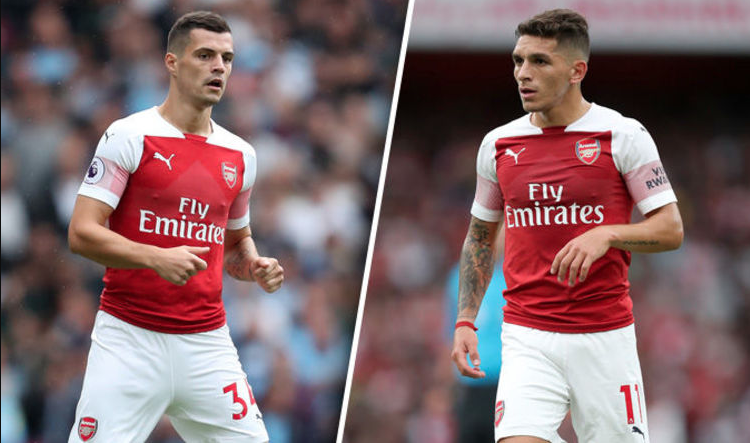 Xhaka and Torreira seem to be a midfield pairing for years to come which will only improve over time. Last Year, Xhaka was exposed time and time again due to his lack of pace as well. This year, he seems more relaxed on the ball and is able to play freely knowing that he has Torreira to shield anchoring the midfield. Arsenal have scored the most goals in the 2nd half of matches in the Premier League this season. They seem to grow into games. Apart from the Chelsea game, they have won every game that they have been down in or level going into Halftime. They are able to maintain if not raise their intensity levels going into the second half. The effort they have put in this season physically is outlined by the fact that they have covered the most ground of any team this season. The fact that Pierre Emerick Aubameyang also comes off the bench is very helpful in recent games. His electric pace going up against tiring defenders has caused a lot of problems for opposing defenses this season. There are some good signs with regards to Mesut Ozil as well. There were some huge question marks looming over him after a poor end to the season last year, the disappointment at the world cup and the situation surrounding his shock international retirement. 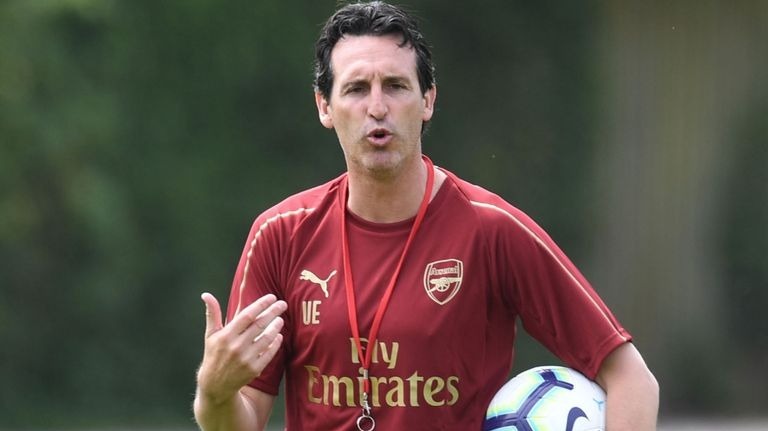 He started the season with uncertainty as Emery is a manager who demands that his players put in a physical shift week in week out. Ozil doesn’t have the greatest physical presence and doesn’t seem like the most hardworking player(Although his distance covered numbers tell a different story). He was even deployed on the wing this season, coming in off the right-hand side to facilitate Aaron Ramsey in the center. The emergence of Alex Iwobi has kept Ramsey and Mkhitaryan on the bench which has allowed Ozil to have the number 10 role to himself. Ozil has created a lot of chances this season and scored a few as well. His standout performance this season was the match against Leicester, where he was handed the Captain’s armband. 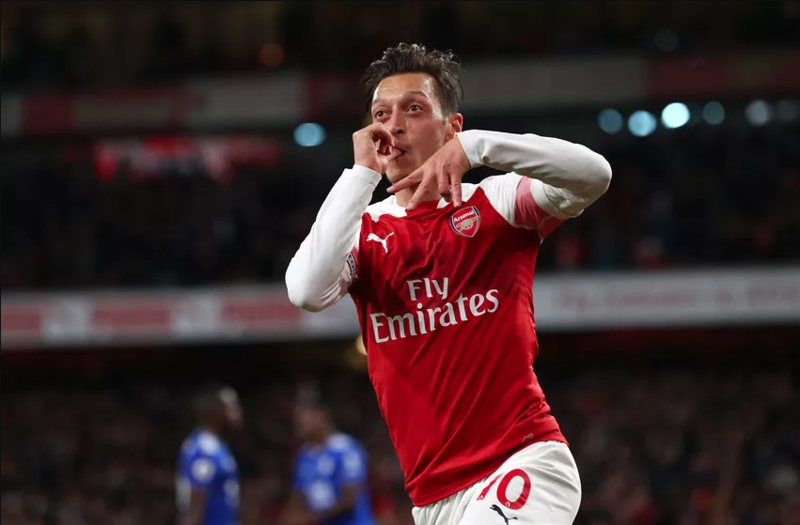 He took this game by the scruff of its neck, scoring Arsenal’s first, taking Leicester’s entire backline out with one pass for the second and assisting in the third goal. Overall, it was a performance that even he would be proud of. The flick, the dummy and the pass in front of goal for Arsenal’s third was something that represents Mesut Ozil on a football pitch. That is the kind of quality he has! The only way to kick on from now is to contribute in a similar fashion against Liverpool. Another shining light for Arsenal this season has been the emergence of Alex Iwobi. He has been a revelation under Unai Emery. He is playing freely and is wrecking havoc amongst defenders. His ball control and strength while dribbling to shrug off defenders has stood out. He has made himself a starter and an integral part of this team. His work off the ball has also been improving. However, he does need to work on his composure in front of goal. This would help make him a complete winger. He has to be Arsenal’s most improved player this season. Hector Bellerin too looks like a player reborn. His new vegan diet might have affected his speed but his performance has improved drastically. The contribution in attack has been immense, outlined by his 2 assists against Leicester. His performances so far support the sentiment that Arsenal need another pacey wing-back on the left side who could bomb up and down the field at pace. On this note, there has been interest in Nicholas Tagliafico from Ajax. If Arsenal manage to get him, it would cause their opponents a lot of problems. In January, Arsenal splashed the cash and bought one of the world’s best poachers in Pierre Emerick Aubameyang for 56 million pounds, breaking their own transfer record. Most Arsenal fans like myself believed this could’ve spelt the end for Alexandre Lacazette’s time at Arsenal after he was struggling to adjust to life in London. What we have witnessed has been anything but that. They have formed one of the most formidable forward partnerships in the Premier League. Aubameyang has settled down to play on the wing for now as he has the pace to support it. Lacazette has taken the strikers role and both of them have been successful. Their linkup play was visible in the game vs Cardiff for Aubameyang’s goal. Most strikers would be competing with each other to score more goals, but looking at these two, they’re happy to see each other get on the scoresheet. This will be of prime importance going forward this season. Despite Arsenal’s flurry of goals up front, Unai Emery is yet to reinvigorate the Gunners’ central defence pairing from Arsene Wenger’s penultimate days in charge. While Shkodran Mustafi and Rob Holding have improved, Mustafi isn’t very comfortable on the ball while Holding is still too inexperienced to be a first-team defender for a club like Arsenal. While Sokratis is a good defender, his injury issues and lack of confidence passing are alarming. Laurent Koscielny is not yet up to full fitness and last year it seemed as though age was catching up with him. This is the key area in which Arsenal need to recruit and they need to recruit centre-backs who can play out from the back as this is the way Arsenal will play going forward. The most impressive thing, though about this unbeaten run for Arsenal is that they have improved in every match of this streak. Yes, there has been a blip at Crystal Palace. After all, this is the Premier League, the toughest league in the world and while Arsenal should have been able to deal with most of the teams that they faced, it’s usually these sort of matches where the big boys falter and throw away crucial points. They are 4 points off the top at the moment and in the top 4. This is more than what most people expected from them this season under the new manager. Unai Emery has handled this club well for now but the real indicator of progress would be the Liverpool match this Sunday.